As people grow older, a decision will have to be made about where you live. While many elderly people will have to move into a retirement home, more and more are choosing to stay at home. With the right help this is now easier than ever before to do and there are simple steps that you need to take to ensure that this is going to be possible. For more information on how to make sure your house allows you to grow old in it, carry on reading. Make life easier for yourself and make sure that you plan ahead if you know that you want to grow old at home. This can be difficult when your needs are changing but it is important to identify your own situation and act accordingly. Talk with your doctor about any illnesses that you may already have as this will give you a good indication of any changes that you need to make to your home. You will need to look into making your home more accessible by having things such as a ramp to your door way added and a stairlift fitted in your hallway. Another major issue that many elderly people find is the main reason why they cannot stay at home is because their bathroom is no longer accessible. A guide to bathroom accessibility on mobility-plus.co.uk explains how installing new bathroom accessories or pieces of bathroom furniture (such as shower seats and high-pan toilets) as well as walk-in showers can make your bathroom a safer environment for when you get older. Another reason why many elderly people eventually find it too hard to live at home is because of the number of tiring household chores that they are required to do. If you need help maintaining your garden, going food shopping or doing your washing, then there are still some ways in which you can overcome this. For example, you can now have your grocery shopping delivered straight to your door or you could hire a gardener to come a few times a month to help keep it looking neat and tidy. As we get older, it can become tiring eating alone or it may just altogether become too hard to cook yourself nutritious meals. Meal delivery programmes are now available which will bring hot meals to your home, so you don’t have to worry about cooking. You can also try to eat out more often if your health permits it as this is also a great way to meet other people and improve your social life. As an elderly person, you may be worried about forgetting to pay your bills or having to fill out confusing forms. If you are still living at home, then there are still options out there to help you better control your finances. You can ask a trusted relative to help you or you may want to hire a professional financial advisor. What’s great about the advancements in technology is that you can now easily pay your bills from home by going online and you can even set up a direct debit to ensure that regular bills such as your rent, mortgage or utilities are automatically being paid on a monthly basis. 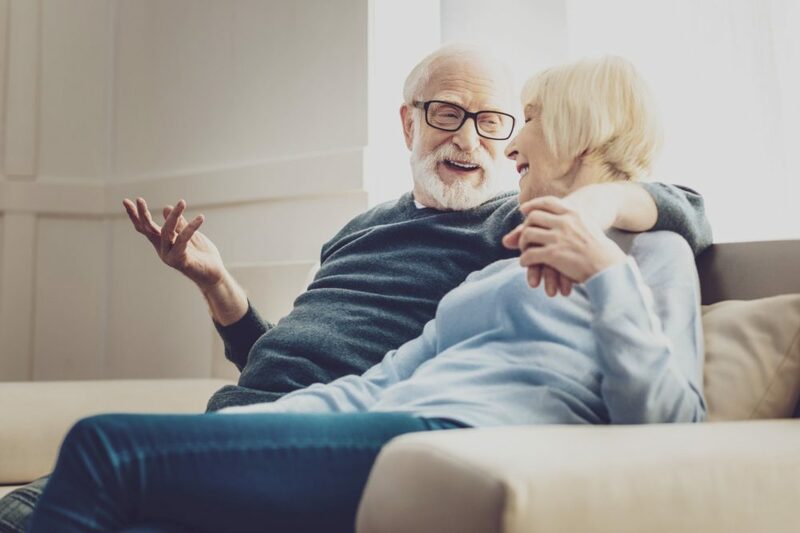 Finally, if you are planning to stay in your home for as long as possible then you will need to make sure that you are keeping on top of your healthcare. Special pill boxes are available which will help you to set out your pills for the week and will remind you to take them. You can also ask your doctor to write down any of its recommendations, to ensure that you do not forget.